Welcome to Saints Preservers, home of delicious Cornish jams, chutneys, marmalades, mustards and more. All products are made at my home on the Saints Way using fresh ingredients. Taste the difference! New products are added each week so drop in when you can for an update. Contact me for multiple order postal discounts or for ideas on gift packs. If you have a craving for something especially tasty, let me know and I will make a batch. A 227g hexagonal jar of chunky Beetroot and Apple Chutney. This jam-like chutney positively strokes your taste buds with sweet then spiced delight. Delicious with creamy cheeses and scrummy with pork and apple sausages, or a vegetable lasagne. Makes a great alternative to pickle for a ploughmans lunch. £6.00 inclusive of UK postage. A 227g hexagonal jar of slowly cooked onions in a spicy sweet sauce with red wine, cloves, juniper berries, and oranges. Delicious with all barbecue foods and with beefburgers. Ideal with strong cheeses. £6.00 inclusive of UK postage. A 227g hexagonal jar of delicious, darkly fruity, berry-packed jam. Made with blackberries, blackcurrants and redcurrants, this tasty preserve suits wholemeal bread, toast, scones and victoria sponge cakes. £6.00 inclusive of UK postage. 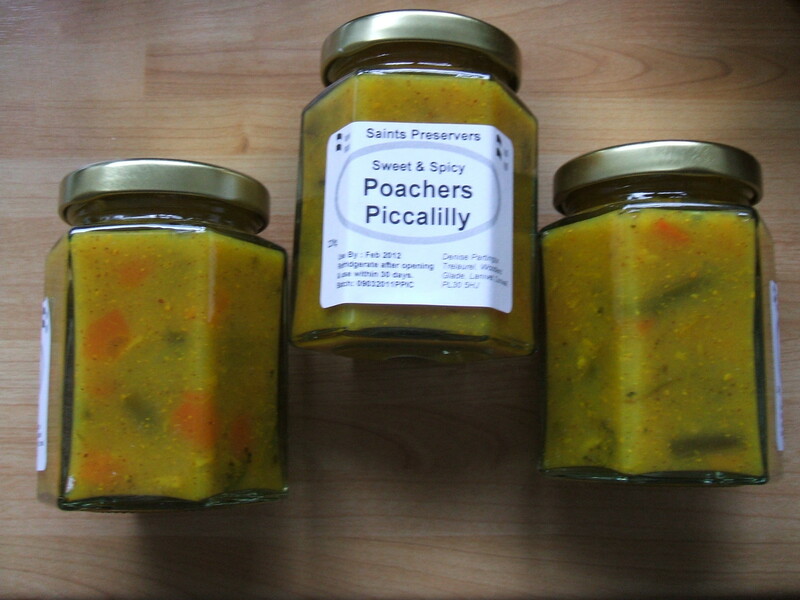 Packed to the corners with tasty chunks of vegetables nestling in a rich spicy sauce with mustard, garlic and chilli, this 227g jar of Poachers Piccalilly is more than enough to spice up a boring pork pie, black pudding or venison sausage, great with mixed salad & courgette fritters. £6.00 inclusive of UK postage. 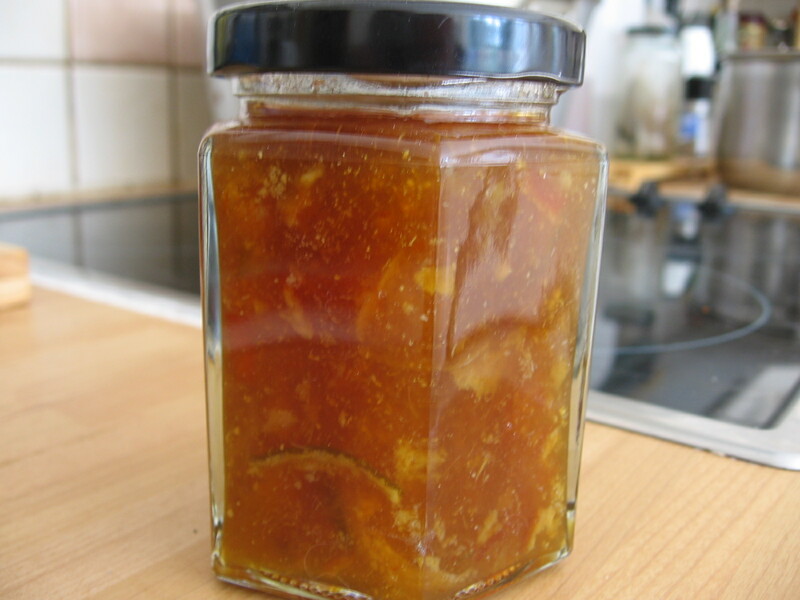 A 227g hexagonal jar of chunky orange marmalade with a generous splash of single malt whisky or Drambuie whisky liqueur. A tasty alternative for your breakfast toast. £6.00 inclusive of postage in UK. A deliciously chunky chutney in a 227g hexagonal jar with generous pieces of pineapple and sweet pepper in a sweet and spicy sauce with added zing from chillies and garlic. Scrummy with sliced meats, strong cheese or roasted and barbeque chicken. £6.00 includes postage in UK.